Blood and magic will collide . . .
Leofur is the daughter of Arcannen - a power-hungry sorcerer prepared to use the blackest of magic to get what he wants. But she is also devoted to Arcannen's nemesis, Paxon Leah - sworn protector of the Druids who defend the Four Lands against evil. When the Druids are forced to flee, having been framed for a murderous rampage which leaves many dead, Paxon knows that the evil sorcerer Arcannen is behind it. As the Druids seek sanctuary, Leofur sets out on a perilous quest to thwart her father's desires to destroy them all . There are some fantasy authors that just seem to be gifted to tell stories filled with magic creating a world that whilst unlike our own in some circumstances has heavily taken cataclysmic turns that help to generate something unique. 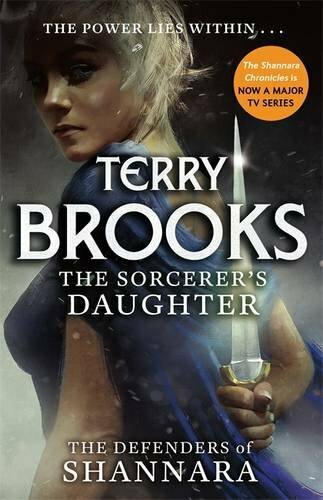 So it is with terry's series and to be honest whilst I'm not a fan of the TV series, I am addicted to his writing. All round a cracking read and another gem for Terry's collection.